It’s time to change the house? Want to leave a clean and tidy house behind? 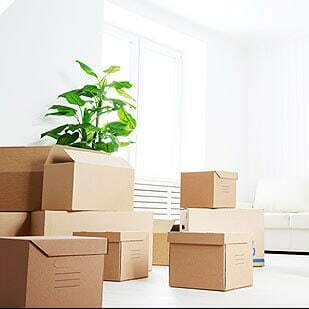 No problem, you just take care of shifting and at Ecof Cleaners with our move out cleaning services Vancouver BC we will get all done for you. And there is no need to worry about the quality. It’s our top priority only to provide top move out house cleaners Vancouver BC every time. With our professional and skilled move out cleaners Vancouver BC thinking or getting tensed about the end of tenancy cleaning service Vancouver BC is not a worthy choice. It’s quick and simple to book your service appointment with us. With our working efficiency and end results, you will easily understand why we are among the top move-out cleaning companies Vancouver BC . We not just mop or clean dust. We do a thorough cleaning and take care that we always charge less than offered services. In our vase of service, we have handpicked every flower and ensure that you feel each of them separately even when offered together. Therefore, stop worrying just order us for cleaning service when you move out. Easy Move Out Cleaning Services Vancouver BC. We agree that moving out is not a simple task. But with Ecof Cleaners at least we can give you a trust that you are getting served by the best move out cleaners Vancouver BC . In no way, we would allow you to tussle for move out house cleaners Vancouver. Are you looking for the best move out cleaning in West Vancouver? As we have also started offering our great move out cleaning service in pretty much all the areas in BC. It’s our promise you will feel on top of this world after looking at your last home. Okay, we can’t give those lovely memories of your house but for sure we can provide clean space for those. With our end of tenancy cleaning service Vancouver BC no need to worry about any aspect related to cleaning. We bring all the required skills, tools and supplies and from you, we only want feedback; of satisfaction and filled with happiness. In rarest of the rare case if we don’t hear that way from you, then being from the elite group of move-out cleaning companies Vancouver BC . We do it once more to hear those lovely words – Yes, you are the best! After all, that is the reason we work and strive for. Things to look In Move-Out Cleaning Companies Vancouver BC . We have the advantage of coming from the group of top move-out cleaning companies Vancouver BC . So, we want to extend that advantage to our client-base, by means of sharing knowledge. We want that people should receive what they supposed to, from move out cleaning services Vancouver BC. In this, there is no secret but still being on the other side of the coin we can tell better what is essential when the talk is about to move out house cleaners Vancouver BC . According to us, there are some basic things that create the whole structure of this cleaning industry. To name those: Quality, Skills, Professionalism, Attitude, Tools, and Supplies. It’s is bitter truth that only a few are there which can tag each of them with best. And we feel great that we are amongst those. Not once or twice but always we give 100% satisfaction guaranteed services. Wow! That’s great. Now you know on what your focus should be when you look for move out cleaners Vancouver BC . So ensure you keep these points in mind and select the best provider like us. Find A-1 Move Out Cleaners Vancouver BC . There are a few instances when going out of the house is troublesome. One such event is when you move out. To make it less tricky, at Ecof Cleaners we always match you with an only reliable and finest move out house cleaners Vancouver BC . In your rush to find the worthy end of tenancy cleaning service Vancouver BC or move out cleaning services Vancouver BC, we can provide you a sigh of relief, as we take care of all your cleaning needs. Everything handled by experts and experienced personnel. To lend a helping hand, our team always remains energized and feels more than happy. It’s our duty to bring in passionate move out cleaners Vancouver BC . They don’t just swipe dust rather make home clean and disinfect it as well. Always delivering at par is our hobby and we love it enough. From the time of finding the estimated cost until making you satisfied, all our team thinks about the ways to make everything better. When it comes to the choice you have all, except one; your and our team member’s safety. We don’t compromise with that. Save Through End Of Tenancy Cleaning Service Vancouver BC. Actually, when people move out they feel tired just thinking about all the involved acts. In this, they miss using move-out cleaning companies Vancouver BC . Actually, we can help you in saving money. Not just with our cost-effective end of tenancy cleaning service Vancouver BC but by allowing you to take back you hefty amount of deposit. In most of the cases, it’s in the contract to return the house in clean condition. But clean is not defined. We can define cleaning for you with our move out cleaners Vancouver BC . If you book your move out cleaning services Vancouver BC with Ecof Cleaners you can actually save more than you spend. As it’s always said that whenever you leave your house clean you are multiplying your chances of getting your deposit back. Then why wait to use or cleaning services and get your hard-earned money back. You can easily manage all your bookings from a single consultation and save your time too. We can ensure with us you won’t leave any dirt or grime behind. Don’t be left behind, join the saving spree now. Do Use Move Out House Cleaners Vancouver BC. Whether you are selling your house or renting another house, to move is the part of the show. And playing your character in the best way is essential. Our move out house cleaners Vancouver BC plays the supporting role in making your character the lead in the show. Whether or not it’s a legal binding but moving out of the clean house is something that matters. If it is legal then is a compulsion otherwise it is a choice. And only great people make such a choice to go beyond limits to make someone’s buying or renting a pleasurable experience. Use our end of tenancy cleaning service Vancouver BC and bid adieu in an exceptional manner. Or say hello to buyers with sparkling house through our proficient move out cleaners Vancouver BC . Whatever you want to, we are always with you; supporting through our services. For this reason, let us serve you once and enjoy the unmatched experience of cleaning. Just book your appointment with us and stay relaxed. To think in the right way is an investment you make on yourself. 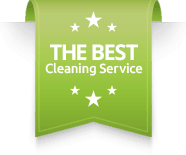 Therefore we want you to first think a little and make the right choice about move-out cleaning companies Vancouver BC . Whenever you leave, for yourself and for the next person do avail our move out cleaning services Vancouver BC . Say goodbye and welcome at once with our end of tenancy cleaning service Vancouver BC . Say no to trash, dust, and germs and bid the best farewell to your old home. In case you want to move out house cleaners Vancouver BC for advanced and trying to find all-inclusive cleaning service, then all the members of Ecof Cleaners are always ready to attend you. If our services tempt you, then just drop a message or use any means to contact us and we ensure only the best move out cleaners Vancouver BC for you. Right from floors to bathroom tiles, we will clean everything but not your money. At Ecof Cleaners we don’t overcharge, we provide you with correct estimates before work and make it a worthwhile experience for you. 1. Is There Any Affordable Move Out Cleaning Services In Vancouver BC ? A. I will say yes as when I moved out I tried Ecof Cleaners in Vancouver BC and they were quite affordable and it’s better to get exact prices from them. 2. How To Find Estimate Of End Of Tenancy Cleaning Services Vancouver BC ? A. I would recommend you to directly contact the cleaning service provider Vancouver BC as costs vary and I know Ecof Cleaners so you can contact them if you want. 3. Is It Worth To Go For Move Out Office & Home Cleaning Services In Vancouver BC? A. Definitely! You should always leave your memories behind and if you want affordable services then contact Ecof Cleaners as they are good at cleaning and have professional staff in Vancouver BC area. Recently I availed move out cleaning services from Ecof Cleaners. Trust me they are really good at their job. Turned a total mess into a clean house; amazing!